Monday, Wednesday, Thursday 9:00 am in the Main Church. Every Tuesday daily Mass will be held at Villa Angela St. Joseph High School Chapel. Please park in the front of the high school. Mass begins at 8:59am. Please join us! 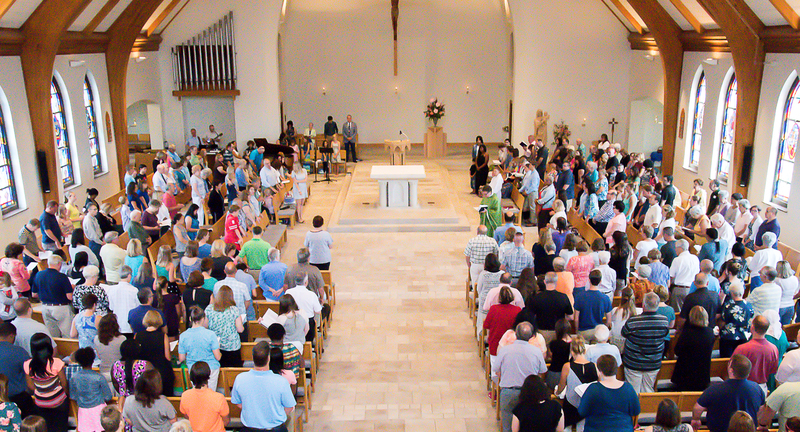 If a funeral should happen to occur on one of these days, the daily Eucharist is normally cancelled and parishioners are encouraged to attend and participate in the Funeral Mass to pray for the deceased and his/her family.